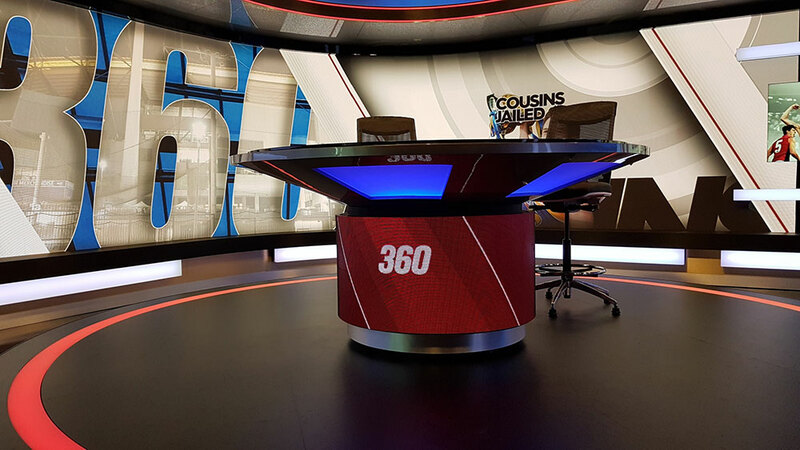 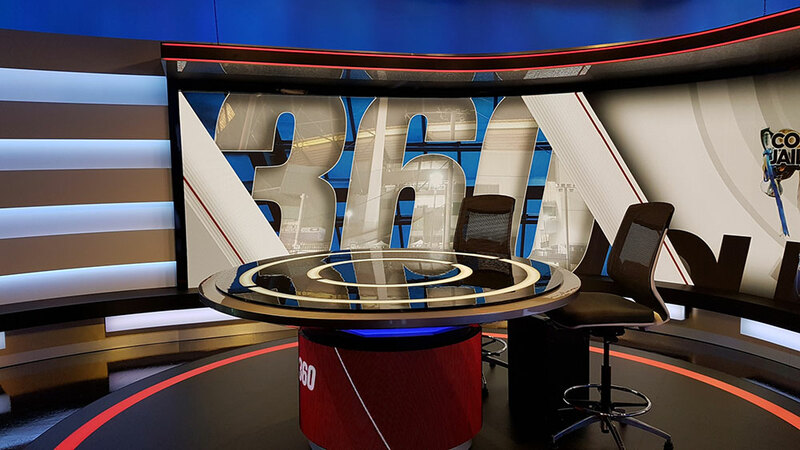 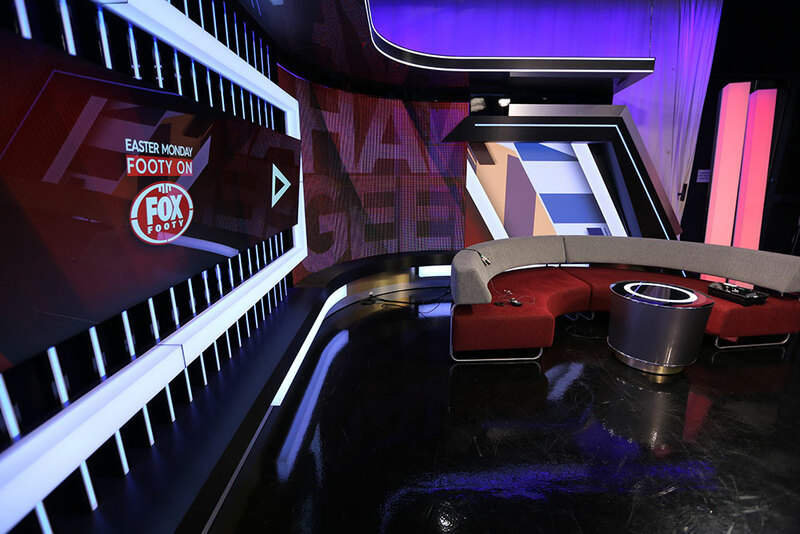 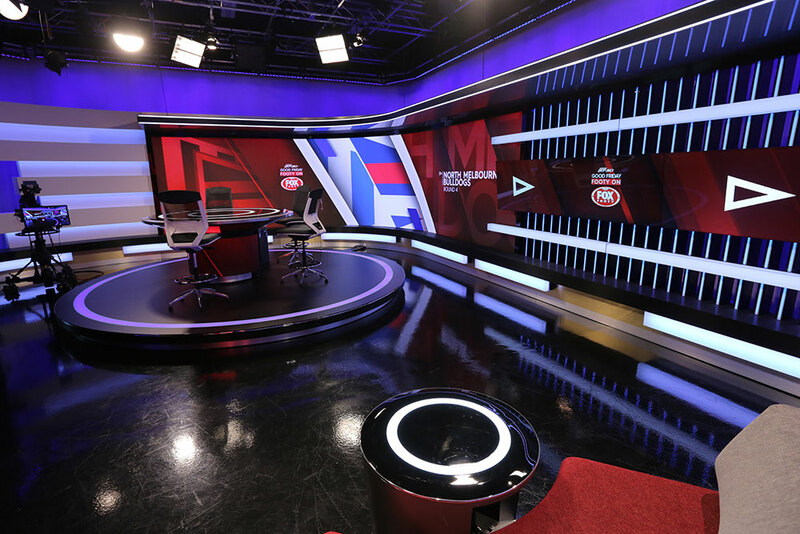 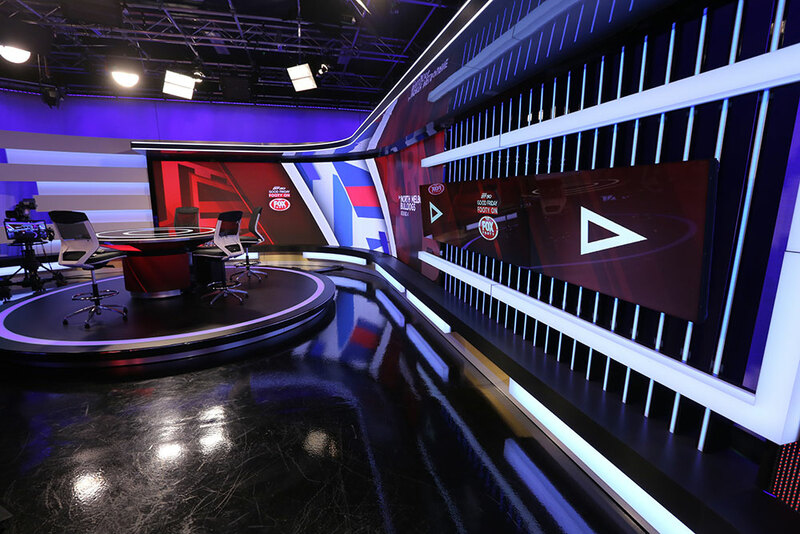 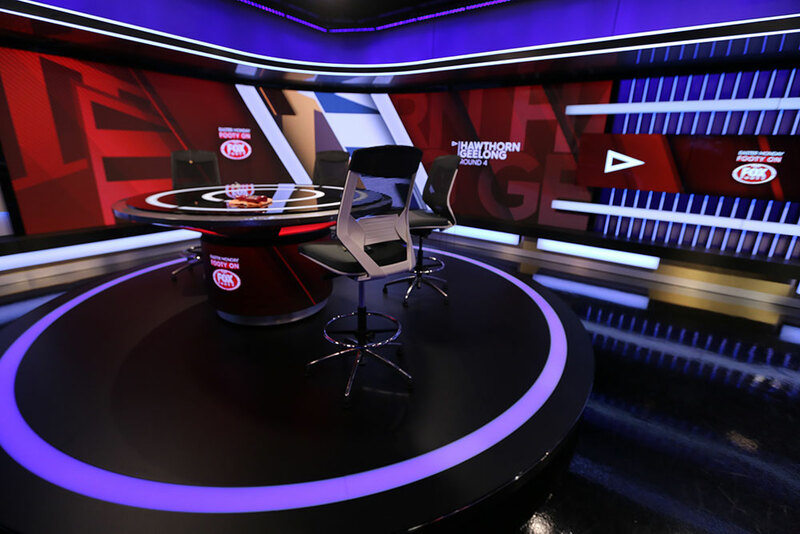 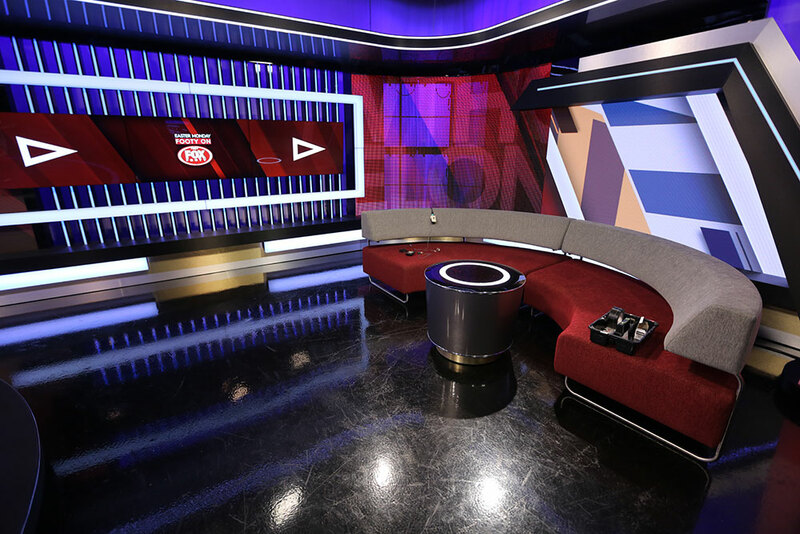 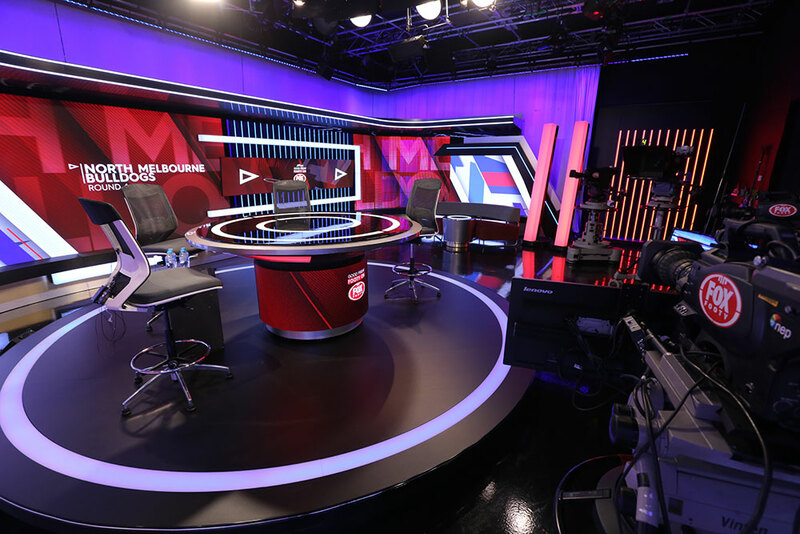 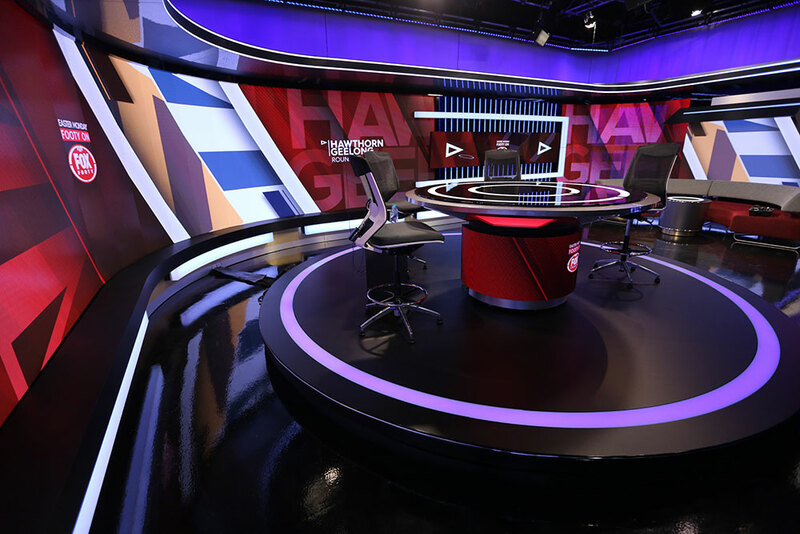 The design for the Fox Footy set construction was presented to us with a very short construction timeframe and a tight budget. 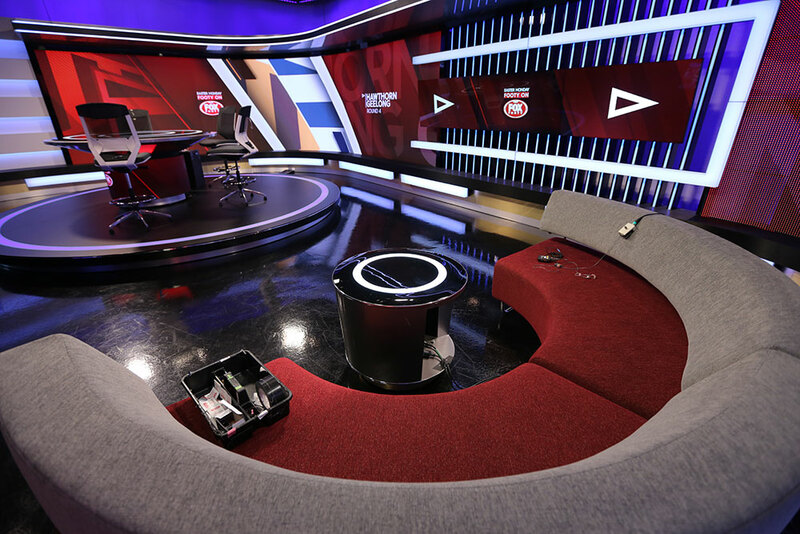 The construction entailed some high-quality finishes which included 2-pack high gloss paint, Opaque Acrylics, vinyl carbon fibre film and hard wearing vinyl flooring. 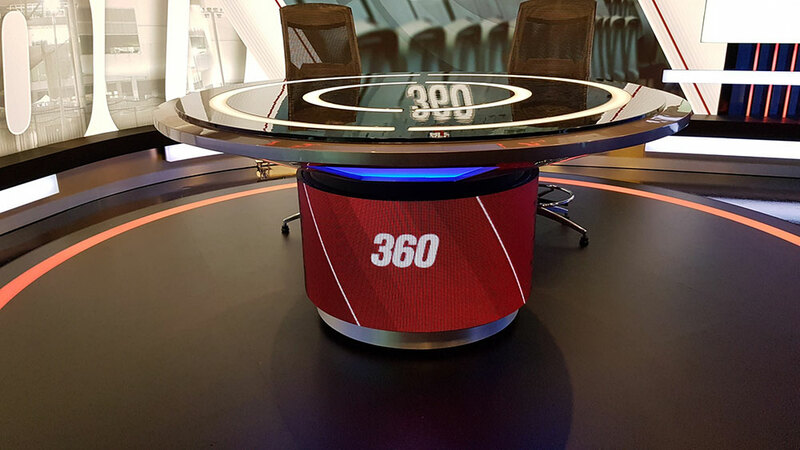 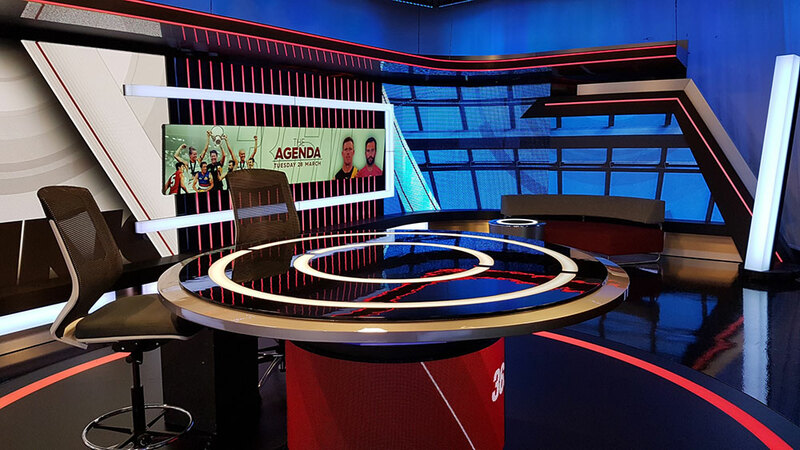 The desk had to incorporate a 4mm round LED screen supporting the main desktop with the rear set pieces coinciding with the inclusion of a 2.5mm curved LED screen supplied by Snoop Media. 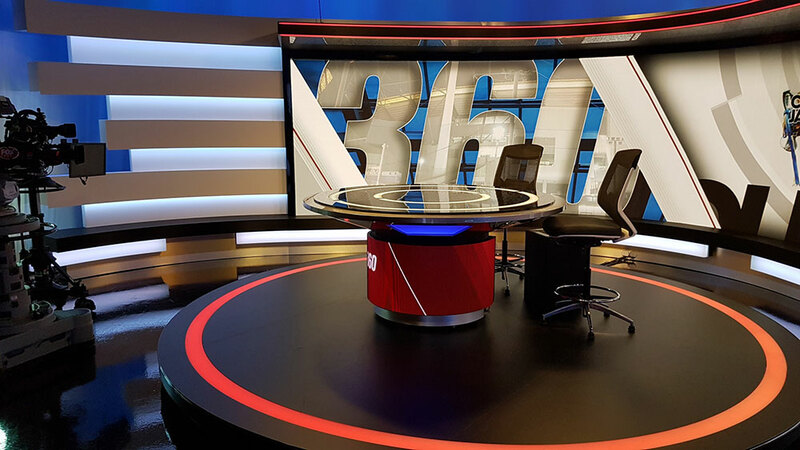 The set construction was completed over an 8 week period, including the installation of the curved 2.5mm LED screen. 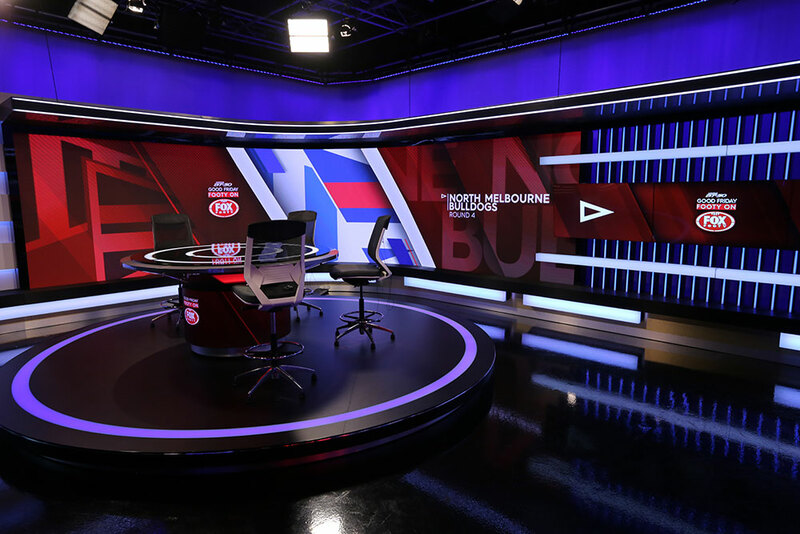 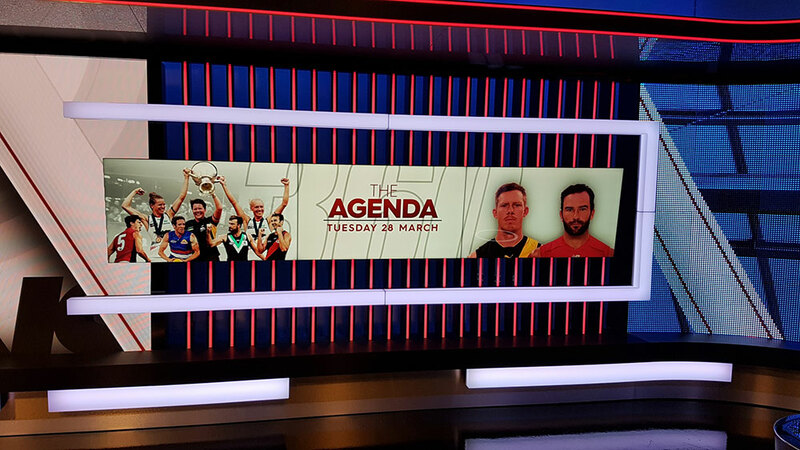 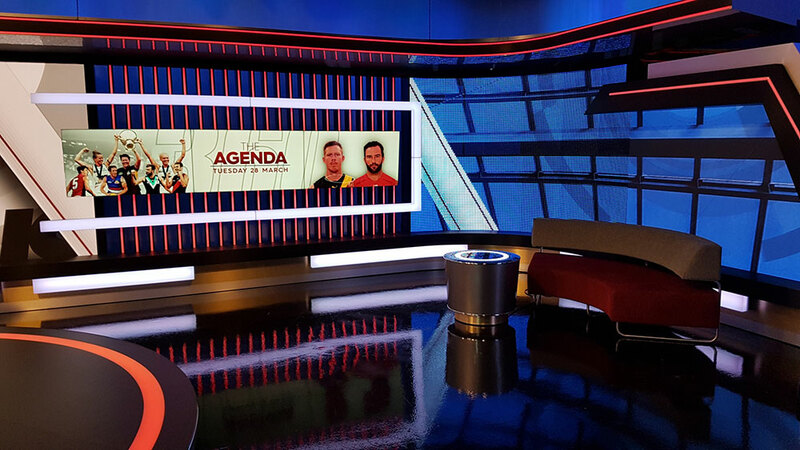 The finished product has given Fox Footy the flexibility to use different camera angles for alternative programmes, with our clients very happy with the final product.